Fans attending the Honda Indy in Toronto this past weekend had a real treat. 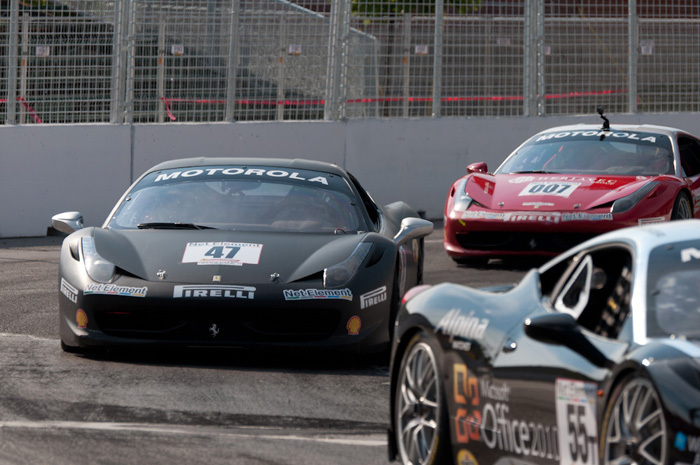 Over the weekend, the temporary road course that is built in and around the Exhibition Place grounds hosts a number of racing series and is home to a variety of fan activities. Not only did we have the internationally renowned IndyCar series, but we also had the Firestone Indy Lights, NASCAR Canadian Tire Series, Castrol Canadian Touring Car Championship, and the Ferrari Challenge. For those you looking for detailed coverage from the IndyCar race itself click here. You’d be mistaken to think that these smaller open wheel racing cars weren’t exciting to watch. The cars of the Firestone Indy Lights series are powerful racing machines that are equipped with 420hp V8 engines and weigh in at 1520 lbs. The fastest lap of 64.01 seconds this weekend was only off by 4 seconds of the fastest IndyCar lap. 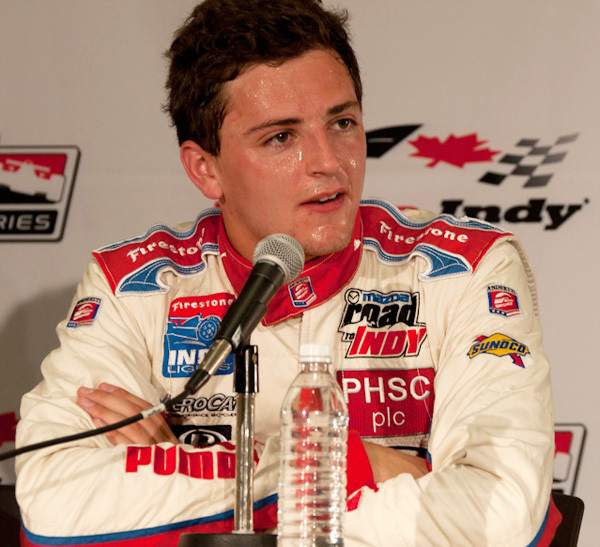 Taking the win this year was car #5 driver Stefan Wilson. Although being disappointed in the Qualifying Race on Saturday for being placed second due to a post-race decision made by race officials, Wilson came out strong on Sunday. Despite the Toronto track’s reputation for crashes and mishaps, Wilson drove a clean race and led 29 of the 49 lap race. He credited Andretti Autosport for a good car and teammate Peter Dempsey for being a quick driver, pushing him to be consistently fast. Peter Dempsey in car #26 came in second giving Andretti Autosport a 1-2 podium sweep. Placing third was Gustavo Yacaman driving car#2 of team TMR-Tuvacol-Xtreme Coil Drilling. The NASCAR racing experience usually consists of stock cars racing around tracks that are essentially large ovals. 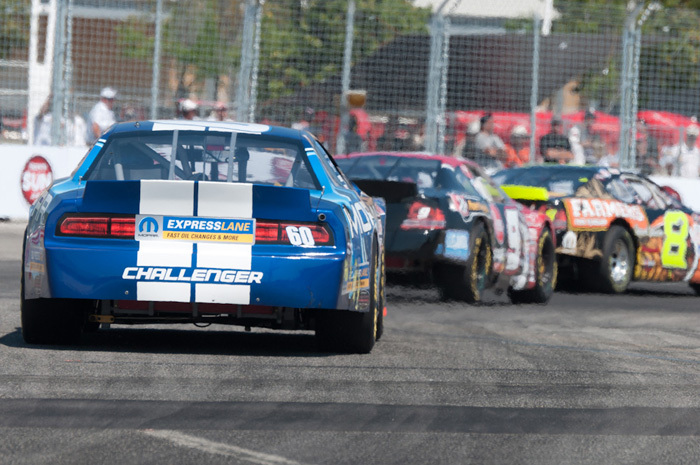 When the Canadian Tire series brings it to Toronto however, it changes, quite a bit. The racing takes place on the Toronto Road course consisting of 11 turns. Fans get to experience stock cars equipped with thundering American V8s taking sharp corners, jostling for position through tight turns, and racing down the Lake Shore Blvd straightaway. This year’s win on the Toronto track goes to car #27’s driver Andrew Ranger. “Came here with the goal to win and we did that” said Ranger when asked about his win. He also noted that not over driving his car and being patient while taking opportunities was key to his win on Saturday. This win comes as Andrew’s 10th career road course victory, and 13th overall first place. Scott Steckly and Robin Buck took second and third respectively. It is also interesting to note that all three podium finishes were Dodge cars. Although these stock car spec Dodge’s are heavily modified from the cars that you’d find on public streets, the HEMI V8 engine is almost the same as what’s found on street legal cars. Two touring car classes raced side-by-side this weekend. The Super Class can be defined as ‘heavily modified touring cars’, and is limited to vehicles with a maximum engine displacement of 3.0 litres. The Touring Class is the ‘entry level category where minimum engine modifications are permitted’, and is limited to cars with a maximum engine displacement of 2.0 litres. All cars run on Continental Extreme Contact tires, and are expected to finish a race on a single set of tires. 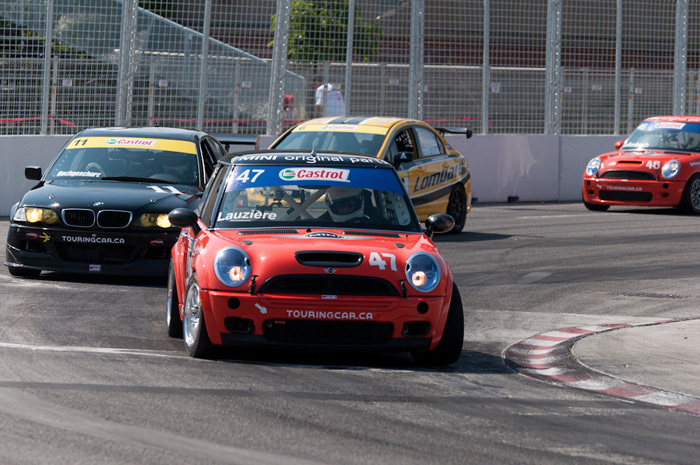 The 2011 season of the Castrol Canadian Touring Car Championship includes 15 races. The Toronto Honda Indy weekend played host to race 7 on Saturday and 8 on Sunday morning. Race 7: the win went to Richard Boake in his Subaru STI who took the Super Class and Alain Lauzière in his MINI Cooper S JCW won the Touring Class. Race 8: Richard Boake earned his second weekend win in Super Class and Tom Kwok in his Honda Civic Si won Touring Class. Racing factory built special ‘Challenge’ versions of 430s and 458s the Ferrari Challenge is showcases some of the world’s most iconic sports cars. Two races took place this weekend. Saturday’s race was off to a flying start –literally– as in the first lap a 458 became airborne after colliding and riding up on the rear tire of a 430. Sunday’s race although lacking cars with airtime, was similarly exciting with commentators pointing out the cost of individual parts of cars whenever a crash left a piece lying on the track. #77 Harry Cheung of Ferrari of Silicon Valley took the win in both races. Toronto driver John Farano in car #59 managed a third place finish on Sunday’s race and was the only Canadian to have a podium finish this weekend. Dragon’s Den panel member and Canadian business mogul Robert Herjavac driving car #007 placed 6th on Saturday and Sunday. It was one very hot weekend this year with clear skies and bright sun. With temperatures climbing upwards of 30 degrees Celsius, keeping cool was definitely a priority for everyone. Helping things were reps from Dr. Pepper handing out free cold drinks to fans and a Schick Hydro cooling station complete with walk through spray mist area. It seems that a racing weekend wouldn’t be complete though without beer and girls in summer attire. Filling the need this year was Budweiser who brought along plenty of Bud Girls and set up Beer Gardens. Each of the series racing the weekend had paddocks set up where fans could get up close and personal with the cars. Even the drivers were available for autographs and photographs. There was even a fully restored original 1977 Honda Civic hatchback with the then state-of-the-art ‘Hondamatic’ transmission on display at the Honda Village. The Toronto road course is a true pleasure to watch racing on. The IndyCar winner this weekend Dario Franchitti described it as a unique track that falls somewhere between the new Brazil and old Brazil course. This weekend’s IndyCar lap leader who didn’t finish the final race due to a crash said “It’s impossible to get good balance around this place […] the track has lots of mayhem”. “The Toronto Circuit is definitely an exciting one for fans” added IndyCar driver Scott Dixon. Toronto’s temporary road course is known for its tough passing zones, and the combination concrete-asphalt surface can be a real challenging place for drivers. Whenever a track is challenging for drivers, it is usually a pleasure for the fans, because nothing spices up a high speed car race like a good amount of chaos. A fan noted: “This was a great weekend. The Toronto track was amazing. It would be a real treat if they would allow local enthusiasts to lap the circuit for a fee in their own vehicles. A ‘Public Thursday’?”. What do you think Honda Indy Toronto; will we see the addition of a public lapping day to the schedule next year? A public lapping day is a great option to offer! I definitely would conscomment_IDer suggesting it next year. Get fresh with cool sorbets!